The Walt Disney Company’s first non-Hollywood movie made more than $1 million at Chinese box offices in its first week. 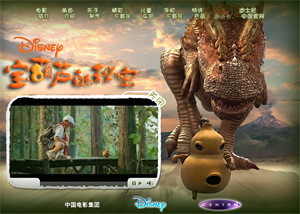 “The Secret of the Magic Gourd”, a mix of live action and CGI animation, is based on a famous Chinese children’s story by the late Chinese children’s writer Zhang Tianyi. It is about a boy who’s troubled by his magical vegetable, which steals from others to please him. Hong Kong special-effects studio Centro Digital Pictures, which worked on “Kill Bill,” made the movie. 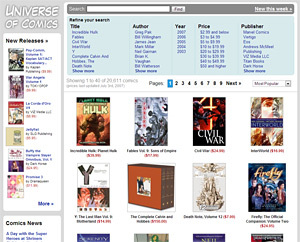 Universe of Comics is a new website that features an easy way to search through the vast collection of comic books, graphic novels and paperbacks available on Amazon.com. The site allows you to drill down by title, publisher, author and price. For instance, upcoming publications by Gemstone Publishing or all Uncle Scrooge comics. There is also a page where you can see a list of all the comic books that are released this week.